Mission: Invite SearchWrite clients to visit Washington's Capital eCity including a free ferry ride, gallery walk, and pub crawl. 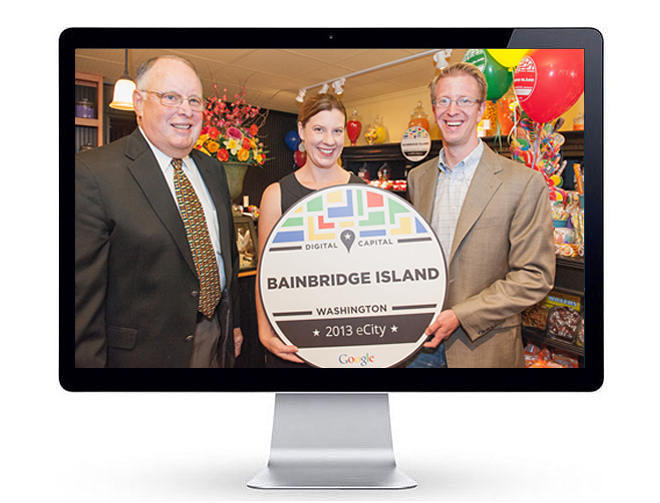 Key Insight: In 2013, Google honored the city of Bainbridge Island as a model eCity and the eCity Capital of the state of Washington. 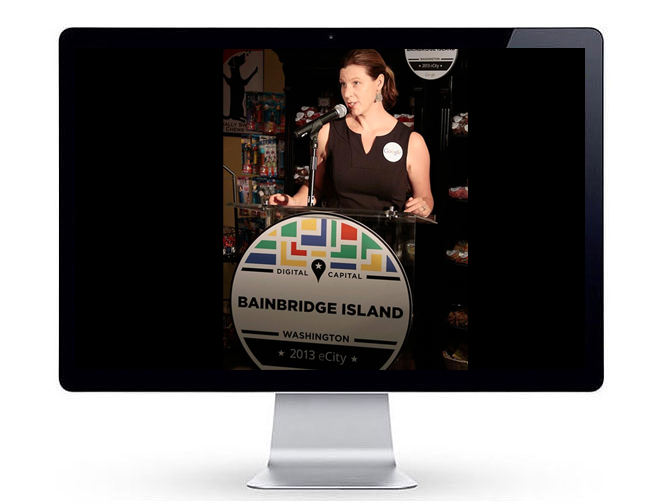 Given that SearchWrite has had a hand in practically all e-Business on Bainbridge Island, we thought Google should have bestowed the award directly to SearchWrite, figuratively speaking. eCity Tours are now embarking daily from SearchWrite offices. Just ask us to meet you at the ferry! Perspectives: We'll see you here!